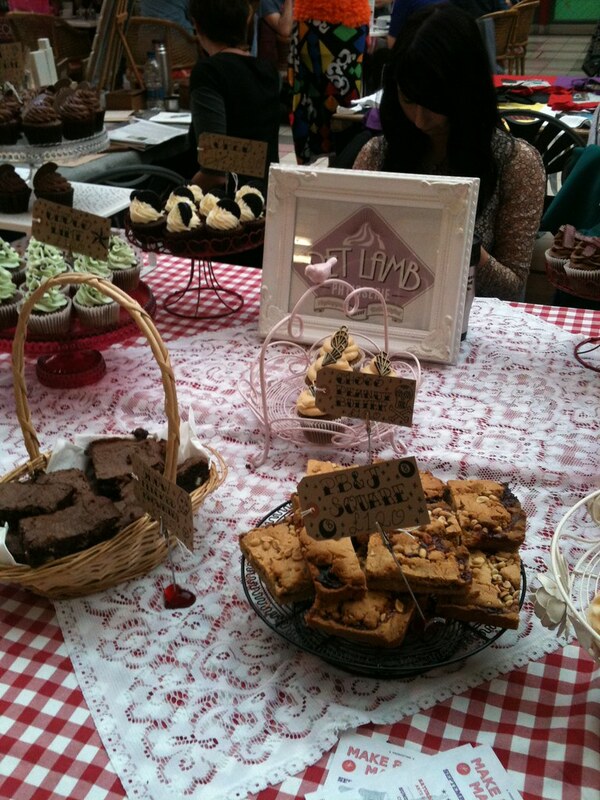 It is the fabulous local company that make delicious cakes and baked goodies. I follow Katie's blog a little obsessively, you should definitely check it out. There was so much deliciousness it was tough to decide what to get. In the end I got a vanilla button cupcake, a turkish delight cupcake and a mint choc cupcake. How pretty are these bad boys!? So many pretty cupcakes tend to be all style over substance. But, under all this pretty sparkly loveliness, there was actually a bloody delicious light sponge! The vanilla cupcake was melt in the mouth delicious, the turkish delight was rich and chocolatey with tiny chunks of turkish delight running through, and the mint choc chip was subtle but perfectly balanced. So now I am desperately trying to think of an occasion to justify ordering some cake! Next month I am off to Durham Food Festival, which promises a vast array of food stalls, book signings and demos by celebrity chefs. Oh and apparently Edd Kimber from series one of The Great British Bake-off is going to be there! I am trying to find a new foodie or craft related event to go to each month, so if you have any suggestions let me know. I love the sound of Make and Mend Market. Can you tell me a bit more about that itself? Do people bring stuff to make and stuff they need to mend? It is basically just a craft and home-made market for local crafty folk. "Our monthly arts & crafts market is back from summer break! First Autumn date showcases best of regional design talent, homeware, cakes, jewellery, cards, fashion and much more! Get yourself something totally unique or find a gift for your friends & loved ones. You'll find us on exhibition square inside Grainger market, in the heart of Newcastle. See you soon!"